France is a wealthy, historic country with a mild climate, making for outstanding golf. It has the largest coastline in Europe, the most romantic capital in the world, beautiful countryside, wonderful food and wines, and a diversity of outstanding golf courses to satisfy any golf traveler -- including 23 of Europe's top 100 courses. 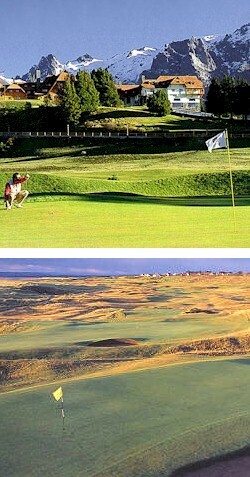 Look to France for a golf vacation with a unique difference! Enjoy the many facets of playing golf in Normandy. An exceptional week in the heart of Bordeaux country. A first-class journey to the dazzling French capital of romance, culture and excellent golf.